As part of the media partnership with Tropfest South East Asia, this month ASEF culture360 will publish a series of interviews with some of the filmmakers who participated in the short film competition. Over 20 years ago, John Polson started the Tropicana Short Film Festival (as it was originally known) as an informal short film screening for cast, crew and friends at the Tropicana Cafe in Sydney. More than 200 people showed up for that first screening. Inspired by the turn out, John decided that a full-fledged short film festival was the next step. The festival has since expanded to become the world’s largest short film festival, and now includes screenings in New York, New Zealand, Abu Dhabi, and – since 2014 – Penang, Malaysia. The festival is free to attend and showcases the finalist films from the Tropfest SEA short film competition, which is open to all residents and citizens of Southeast Asia. Polen Ly was born in 1989 in a countryside Cambodia. He found himself completely in love with story telling through moving images ever since he made his first short film in 2012. Without being to film school, but with the true passion of film, he has studied film-making by himself and continued making more and more short films, which have made it so far to selections and winnings in divers international film festivals around Asia, Europe, and America, including one of his films Duetto that won Second Prize in Tropfest SEA 2014. His dream is to make lots and lots of films in the future, both feature films and short films. His latest movie presented this year at Tropfest SEA is called Colourful Knots. It tells the story of a rich girl diagnosed with cancer who befriends two street kids she meets at a crossroads. Their friendship develops until one day the street kids make a gift for the girl which they never get the chance to deliver. My short film entitled Colourful Knots tells the story of the beautiful knots of friendship tightened by the two different social class. It is not only short film, but also represents a lot my deep personality and experience. We experienced the challenge of the performance since all the actors never experienced in acting at all. But, it was my choice to choose inexperienced actors for that they could use fully their natural talent putting into the story. But our team would rather use the best of our effort and creativity since I believe that creativity is bigger than challenge. New filmmakers need a platform for their films to be exposed. For me, Tropfest is a huge opened door for the world to see our films. It inspires me to continue making films without any pressure of concerning whether I am professional or not. It is a great start for beginning filmmaker like me to showcase our fruits. In South East Asia, some countries have remarkable film industries and some don’t. Cambodia has gone through a civil war and culture, art, including film industries were destroyed. I accept this fact, but as I am part of a new generation, I think we should not let this bitter history stop us from making film, but rather move on and discover new ways of creating. 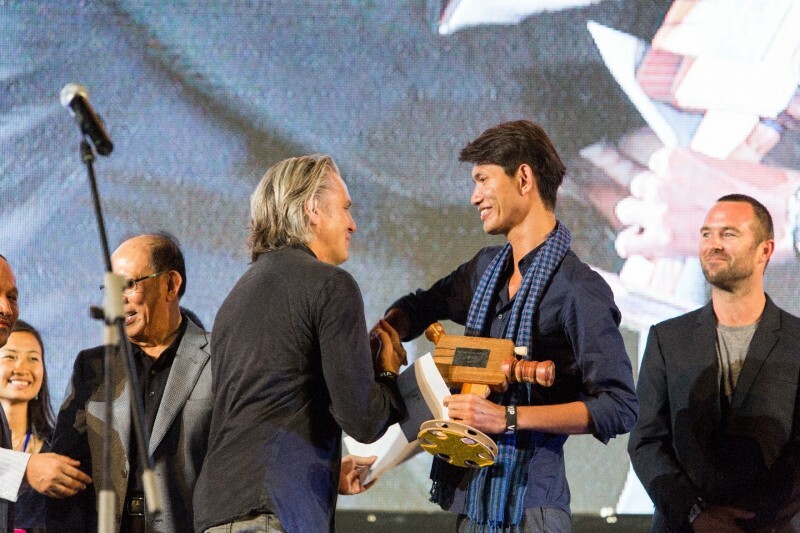 From my observation, there are some seeds of filmmaking now planted in Cambodia since we have had several new filmmakers who earned the recognition on the international stage. So, I believe that Cambodia will have more independent films in the future as this will also influence people to open their hearts wider and think out of the box. Weather you are young or old, age doesn’t matter at all if you realize your true passion in making film. Nobody can see the horizon of where you are walking, so, you need to respect and be honest with your passion by committing to fall and rise with it. No matter how hard it is, you need to focus on your journey rather than the result. Don’t be hungry of competition; be content of telling your story.